Seth took half the day off on Friday so we could visit the new "Tentacles" exhibit at the Monterey Bay Aquarium. We saw nautiluses to match those on our shirts, some bizzarre animals like the flapjack octopus which looked as if taken straight out of a Miyazaki movie, and multiple species of cuttlefish. Moby was clearly excited about to be there, admitting when partway through the exhibit that "I don't want to pee but I have to pee. 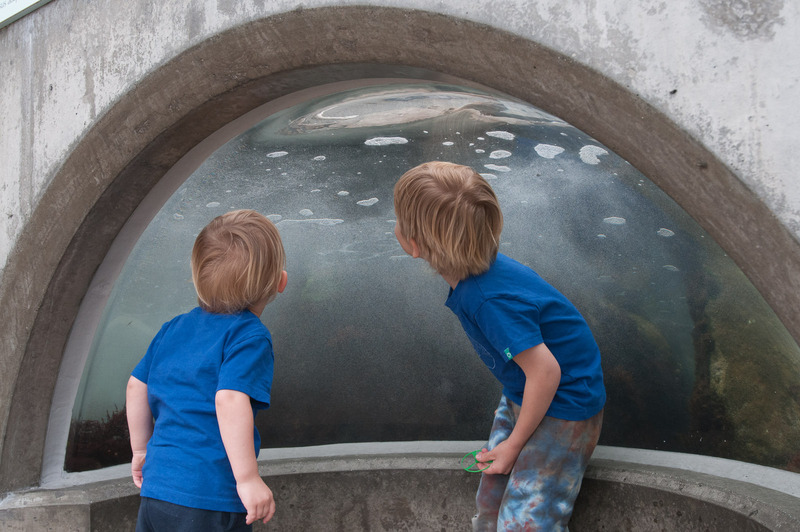 "We also took a brief tour of some of the permanent exhibits at the aquarium. Most of the photos below are from other exhibits. The tentacled animals like darkness which makes photography difficult. 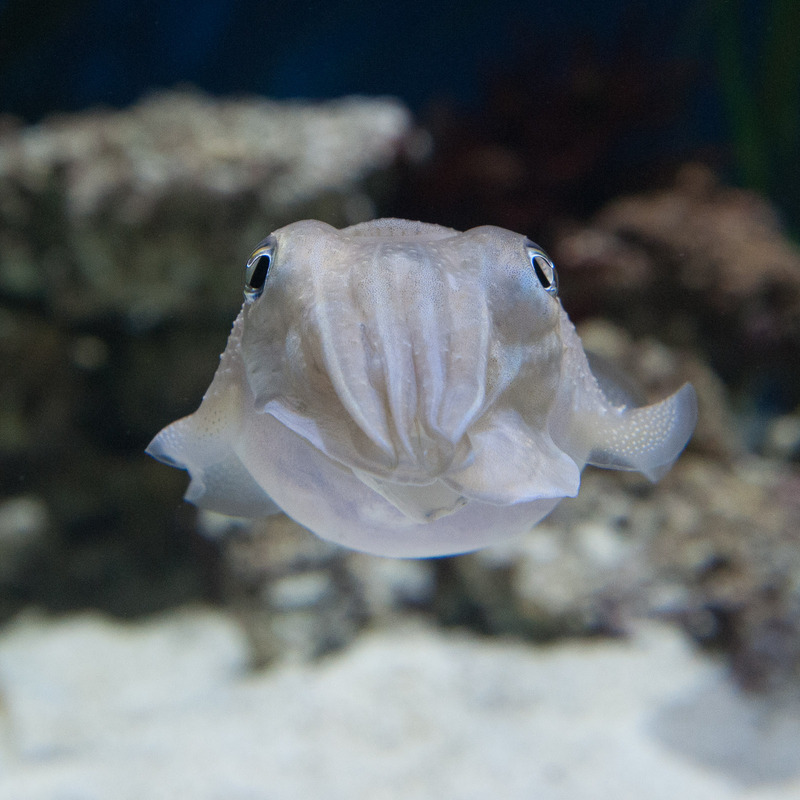 A squid in the new "Tentacles" exhibit. 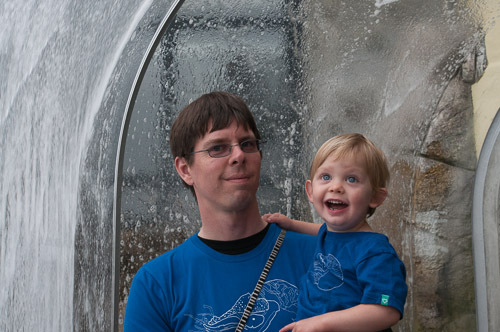 Seth and Arlo in matching nautilus t-shirts. 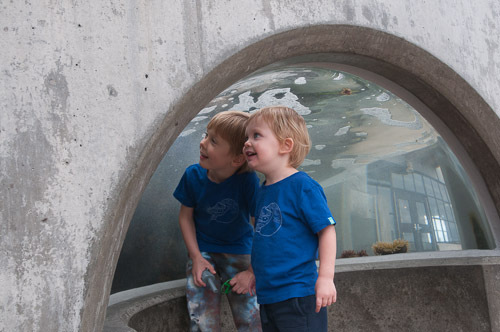 Arlo and Moby waiting for the next wave under the tidepool exhibit, which vigorously dumps water to emulate a wave hitting a shallow rocky coast. 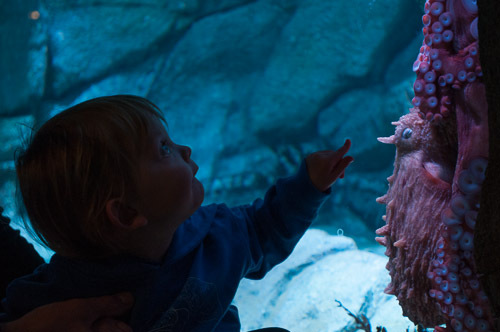 Arlo looking at the giant Pacific octopus on permanent exhibit.